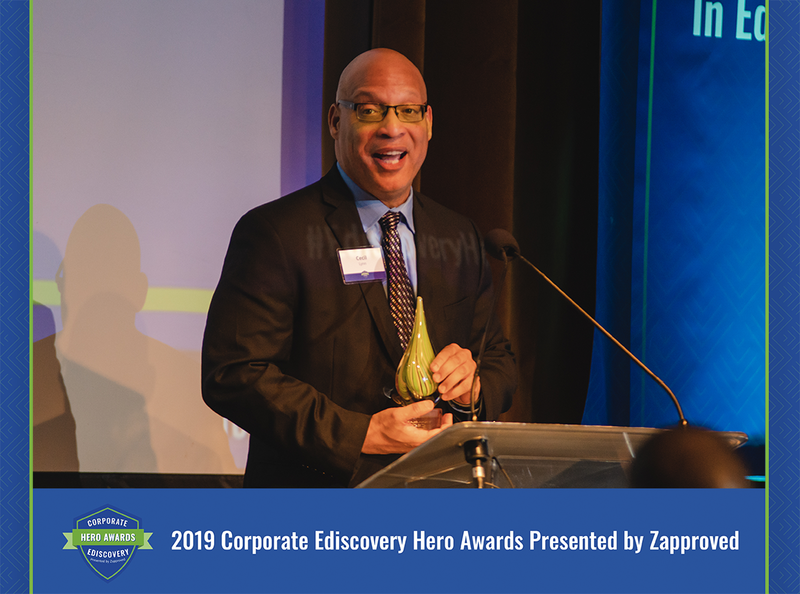 A profile of Cecil Lynn, one of our 2019 Corporate Ediscovery Hero Award winners. The very essence of trailblazing is generosity: true trailblazers are pioneering leaders who strike out into uncharted territory not for personal glory but to create a path that others can follow. 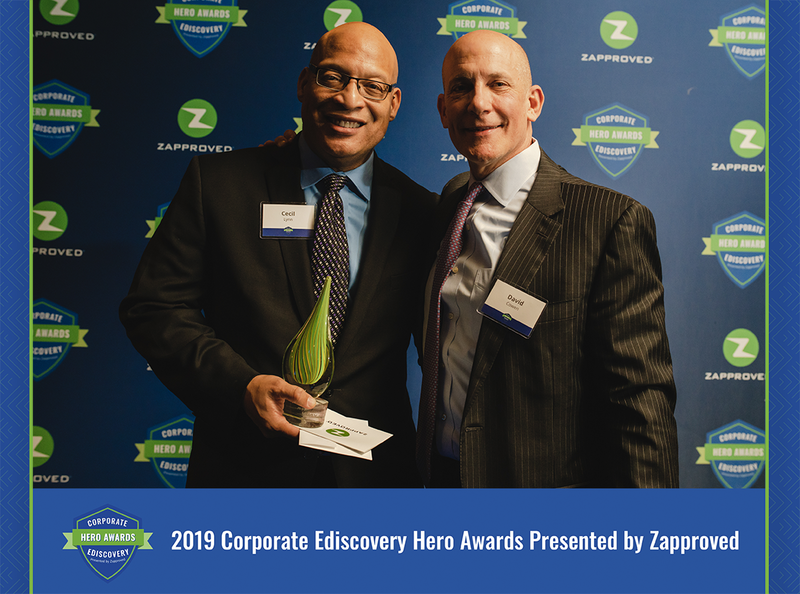 That’s why we were particularly honored to speak with Cecil Lynn, the Global Ediscovery Director at PayPal, when he was nominated for the 2019 Corporate Ediscovery Hero Awards. Cecil was our winner in the Trailblazer category, which recognizes innovators in ediscovery and legal operations, but Cecil embodies this category in more ways than even we envisioned. PayPal seeks to, in its words, democratize financial services for its 267 million active account holders, with brands such as Braintree, Venmo, and Xoom encompassing more than 100 currencies. Cecil built PayPal’s ediscovery system from the ground up after doing the same for eBay before the two companies split. For both companies, he successfully implemented in-house ediscovery and information management programs, managing data collections, processing, review, and production for everything from private litigation to global investigations. Some of his success at PayPal is no doubt due to his tremendous depth of previous experience, including stints as a trial attorney for the U.S. Department of Justice, a partner at an Am Law 100 firm, and the director of a top-tier ediscovery vendor. But his ability to create cost-effective and forward-thinking solutions also springs from his dedication to continually learning about new developments and pushing the boundaries of ediscovery technology and processes. Cecil proudly views himself as a “first responder,” identifying emerging ediscovery issues and proactively designing solutions — often before his colleagues are even aware of the impending issue. For example, when plans for the General Data Protection Regulation (GDPR) were still nascent, Cecil duplicated PayPal’s ediscovery technology in Dublin to ensure PayPal had the capability of processing data within the EU. Beyond the excellence he achieves for PayPal, what makes Cecil a rare gem is his refusal to keep that knowledge to himself. Instead, he prioritizes education and mentorship, providing guidance for those in similar in-house roles and creating opportunities for in-house ediscovery professionals to learn from one another. That’s how he was able to recognize that in-house professionals didn’t have a forum to seek information or advice about their legal and practical questions from a business perspective. To fill that gap, Cecil frequently benchmarks with his peers to discuss strategies, solve problems, and further refine best practices. Speaking of equality, Cecil proudly reflects that his ediscovery team is diverse — no surprise — he doesn’t limit his sponsorship of diversity initiatives to his own team. To ensure others had access to the same opportunities, he founded the Sedona Conference Diversity Committee and served as its first chair. Still unsatisfied with the trail he’d cleared, Cecil also founded the American Bar Association’s Cross Border Discovery Conference. This international conference provides participants with practical, hands-on advice about cross-border discovery, data protection, and privacy. The ABA goes one step further offering complimentary registration for in-house counsel. It would have been easy for an accomplished attorney and established ediscovery professional to rest on his accomplishments — but that’s not Cecil Lynn’s way. Instead, he freely aids his colleagues, embraces innovation and diversity, and creates opportunities to enlighten the entire profession of corporate ediscovery. His palpably generous spirit reveals him to be a trailblazer in the truest sense of the word.